Bruce Springsteen joins the growing list of people speaking out against Donald Trump. Music legend Bruce Springsteen unloaded on Donald Trump during an interview with Rolling Stone, set to be published in the magazine’s next issue. “Well, you know, the republic is under siege by a moron, basically. The whole thing is tragic. Without overstating it, it’s a tragedy for our democracy. 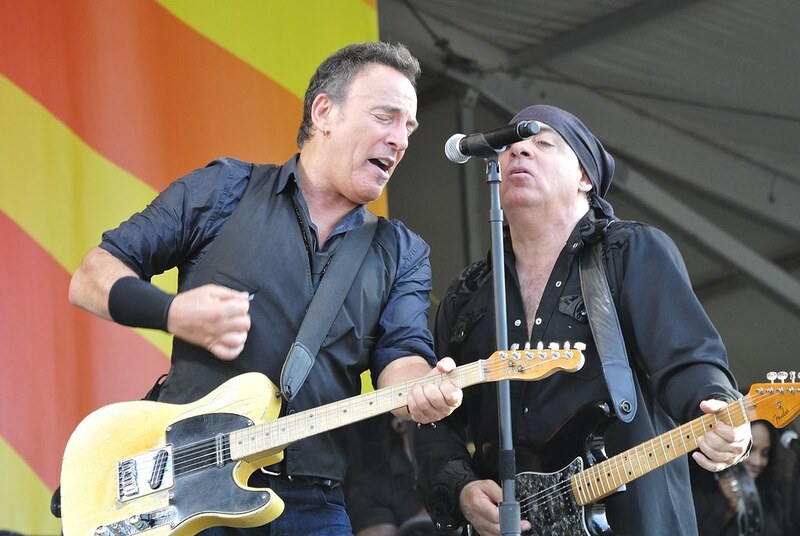 […] The ideas he’s moving to the mainstream are all very dangerous ideas, white nationalism and the alt-right movement,” Springsteen said – not holding anything back. Springsteen has also been very vocal about supporting LGBT rights. In 2009 he posted a statement on his website supporting former Democratic New Jersey Gov. John Corzine’s efforts to support the LGBT community. Then in 2012 he appeared in an ad supporting gay marriage, and in 2016 he cancelled a show in Greensboro, North Carolina to protest the state’s bathroom law which dictated which restrooms transgender people were allowed to use and opened the door to state-sanctioned discrimination against members of the LGBT community. “As you, my fans, know I’m scheduled to play in Greensboro, North Carolina this Sunday. As we also know, North Carolina has just passed HB2, which the media are referring to as the “bathroom” law. HB2 — known officially as the Public Facilities Privacy and Security Act — dictates which bathrooms transgender people are permitted to use. Just as important, the law also attacks the rights of LGBT citizens to sue when their human rights are violated in the workplace. No other group of North Carolinians faces such a burden. To my mind, it’s an attempt by people who cannot stand the progress our country has made in recognizing the human rights of all of our citizens to overturn that progress. Right now, there are many groups, businesses, and individuals in North Carolina working to oppose and overcome these negative developments. Taking all of this into account, I feel that this is a time for me and the band to show solidarity for those freedom fighters. As a result, and with deepest apologies to our dedicated fans in Greensboro, we have canceled our show scheduled for Sunday, April 10th. Some things are more important than a rock show and this fight against prejudice and bigotry — which is happening as I write — is one of them. It is the strongest means I have for raising my voice in opposition to those who continue to push us backwards instead of forwards.